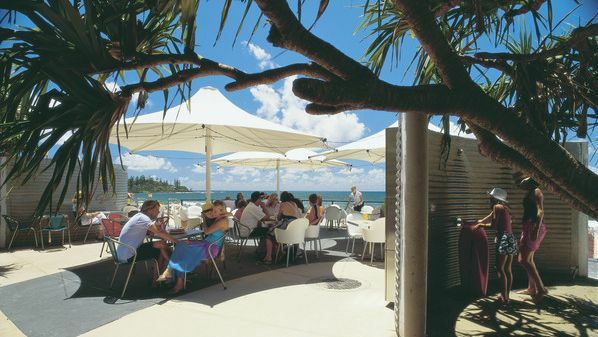 Caloundra is the gateway to southern Queensland's winter playground of the Sunshine Coast. 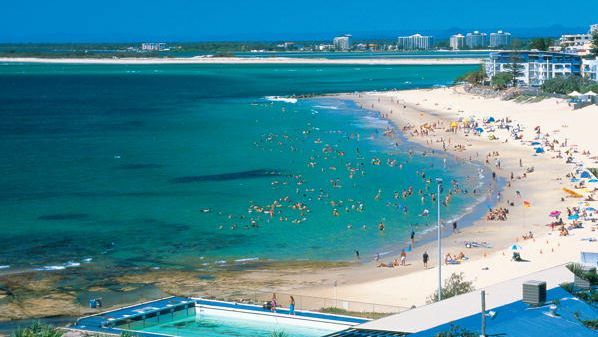 Just 96 kilometres north of Brisbane, Caloundra is wealthy in both surf beaches and sheltered waterways tailored for fishing, boating, water-skiing and sail-boarding. 5 excellent surf beaches, 2 calm water beaches ideal for children, many great parks and picnic spots, free electric barbecues at popular waterfront spots and a unique 24 nautical mile long estuary for boating, fishing or observing the abundant wild life. Caloundra has it all! Caloundra offers Golden Beach, Bulcock Beach, Kings Beach, Dicky Beach, Currimundi Beach and Lake are just a few of the fabulous beaches in the area. All with their own beachside accommodation choices, restaurants and shops. If you prefer calmer waters, Caloundra's Bulcock Beach, features a coastal boardwalk and is a favoured spot of anglers, and Golden Beach are the go. Caloundra is the business centre for the area, but developing villages such as Kawana Waters and Pelican Waters are quite self-contained and are only a few minutes from stunning surf beaches. Caloundra also has direct access to Pumicestone Passage - the stretch of water separating Bribie from the mainland - which is a haven for anglers, boaties, water-skiers and sail-boarders. 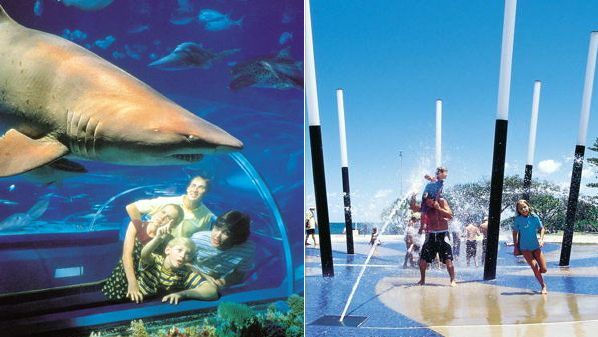 Caloundra also has its share of man-made attractions. Caloundra is the doorstep to the Sunshine Coast's beautiful and absorbing hinterland where arts and craft galleries abound. You will find a hinterland of stunning diversity and beauty, a hinterland that offers something for everyone....from the sightseer to the thrill seeker. Within half an hour's drive of the beach, the landscape varies from tropical fruit plantations to lush rainforest. The Glass House Mountains provide an impressive centrepiece, standing like silent sentinels above the surrounding patchwork of fields and forests. The Caloundra Race course is one of the State's best and hosts regular Sunday meetings. 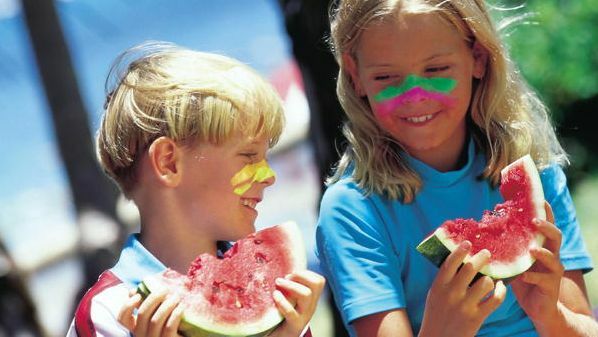 A Caloundra holiday is ideal for families, couples or for the adventure loving tourists, with a wide range of tours, restaurants, and accommodation on offer including Services and Transport. 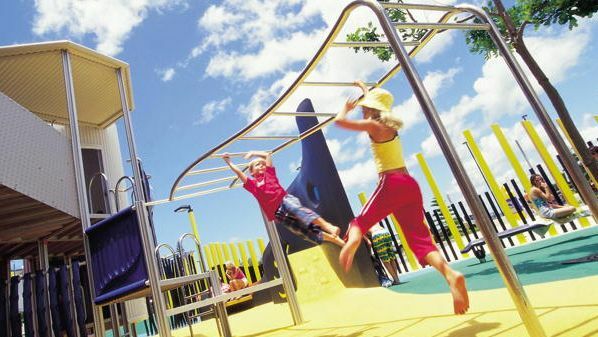 There is a wide range of accommodation available in Caloundra. Resorts, apartments, hotel/motel. caravan parks, backpacker hostels & B&Bs.